You know, to see if it still hurts. You know, to see if it still hurts. When I use this phrase I may be speaking literally or figuratively. Literally: I whack myself on something, get a bruise, watch it change colors, poke it—tentatively at first, then more confidently as time passes—to see if it still hurts. 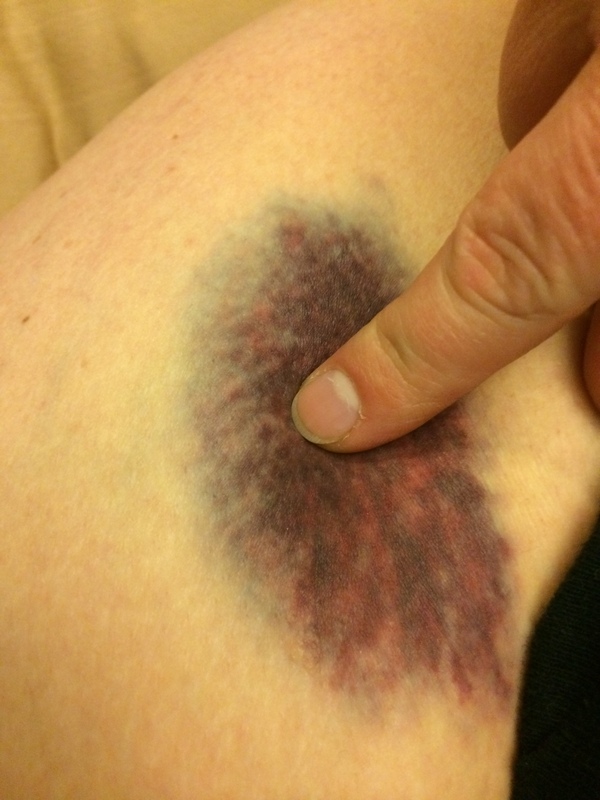 The bruise may be minor or spectacular. Doesn’t matter. When I see it, or remember it, it’s gonna get poked. Figuratively: You’ve probably guessed. 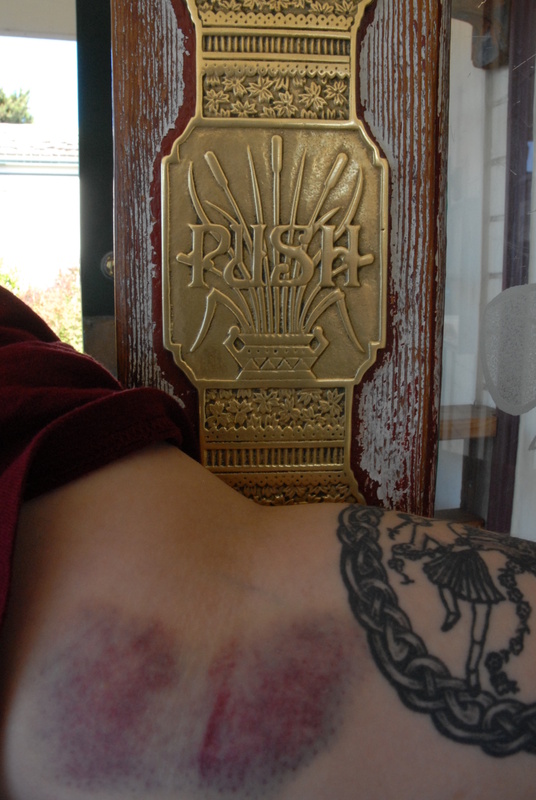 Bruises can be figurative, too—abstract, intangible, yet very real. Wounds given, wounds received, wounds self-inflicted, intentionally or by accident—all are fair game for poking. Ideas are fair game for bruise-pushing, too–for teasing out, to see if they stand up to scrutiny, up to poking. Do they develop bruises or do they maintain their integrity? This Child of Aslan, Ros, is a high school English teacher in Southern California. Middle-aged, she is already a certified cat lady. Her callings include teaching and writing. Her hobbies include reading and photography. Her efforts of late include improving her self-discipline, living honestly, and understanding love–both ours and God’s. You can contact her at chiasticmusings [AT] gmail [DOT] com. Ros, I absolutely LOVE, LOVE, LOVE (!!!!!!!!!) this blog. Did I mention how much I enjoy reading your blog? Wow, Dave, thank you so much! It hasn’t gotten enough of my love in the past couple of weeks, but that’s usually temporary. Thank you for you kind words. I’m happy to have finally discovered your blog, too! Haha! It actually didn’t hurt. I didn’t even know I had it till I saw it in the mirror! So weird. It’s long gone now. My gf is always very proud of her bruises when she gets them in martial arts. And she has a habit of poking them fondly. Pleasure to finally make your (official) acquaintance! Bruises are funny like that, aren’t they? Painful, but sometimes (weirdly) badges of honor. Gotta see if they still hurt. Thank you! It’s really just an excuse to push back on things and be moderately oppositional. Hahaha! I occasionally find random bruises I have no recall of ever getting, and then I know I need to increase my vitamin C intake. LOL. Figuratively, too–sometimes I really I need a good dose of figurative vitamin C, too.